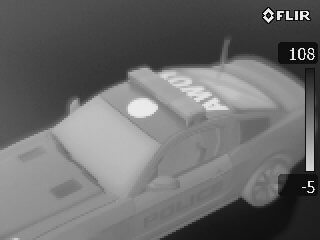 Mirage™ is a government restricted, thermal graphics vinyl. It’s only available to official government entities throughout the world. The Artworks Unlimited LLC, of Denver Colorado is the sole distributor for this product for use in the USA and Canada. There are distributors in the UK, and central Europe for use in those areas. Please ask for distributor information if you are located outside of the USA or Canada. 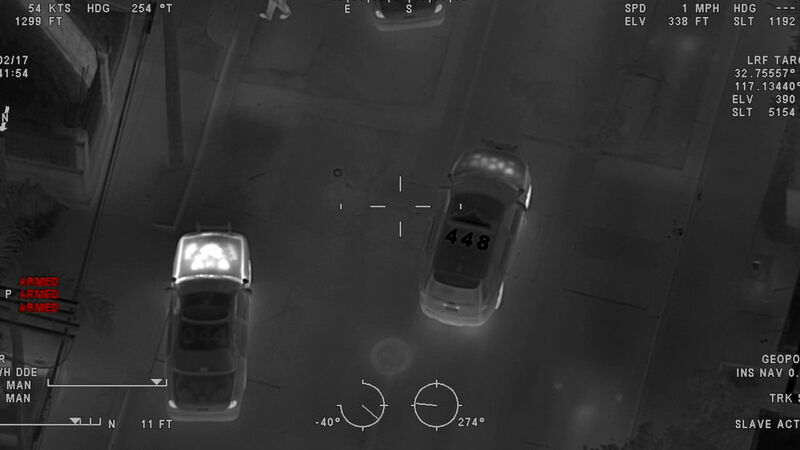 These images demonstrate how Mirage™ has been exploited by UK Police Forces. 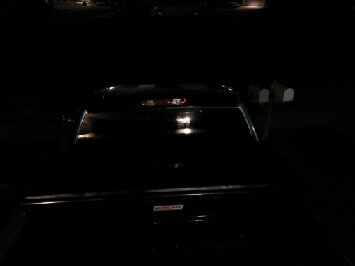 The upper vehicle has conventional black sign vinyl roof markings. 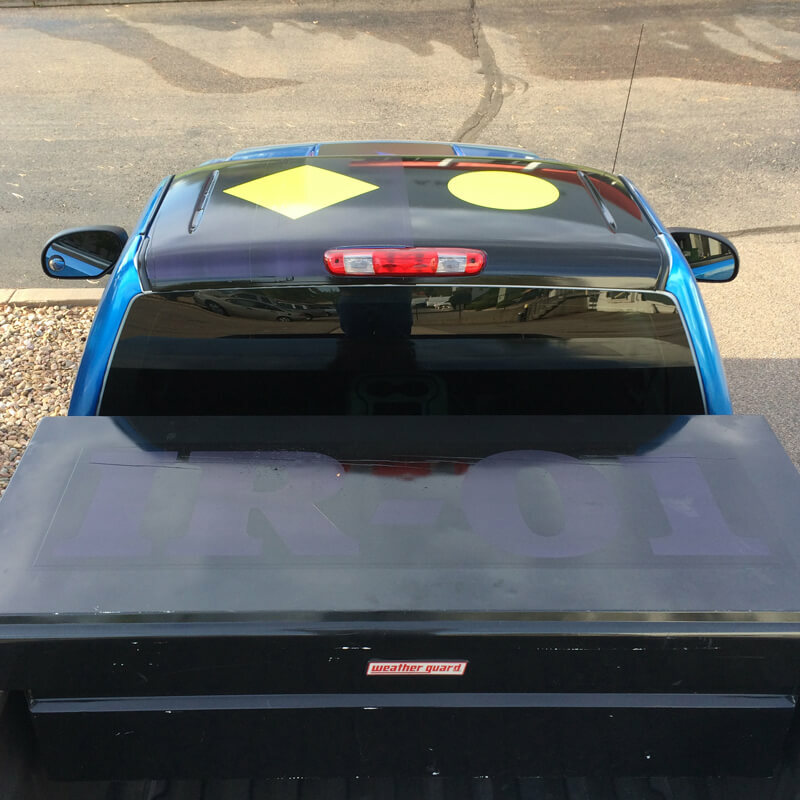 The lower vehicle has selected black Mirage™ film markings with conventional white sign vinyl letters and symbols on the rear part of the roof. Grey Mirage™ has been applied to the roof bar. 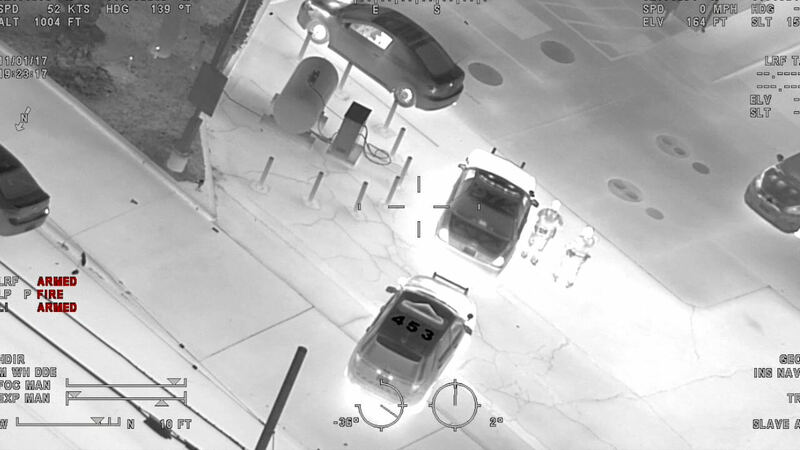 Conventional black sign vinyl and Mirage™ markings are highly conspicuous in the visible waveband image, but only the Mirage™ markings are visible in the thermal Infrared image. 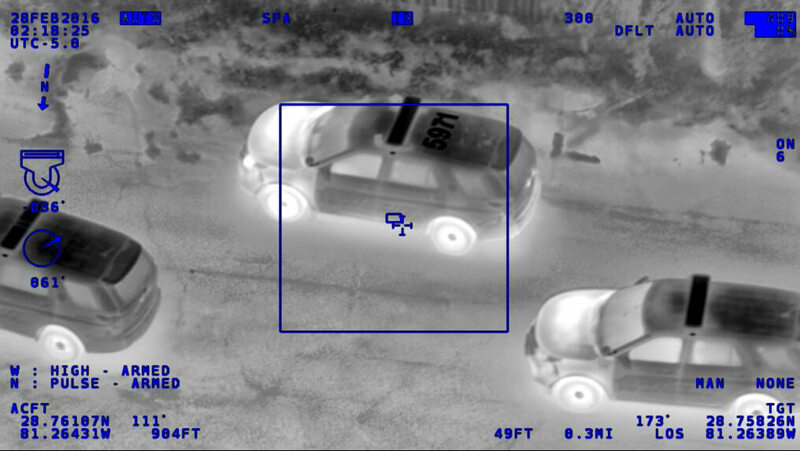 These images show a police vehicle fitted with both Mirage™ and conventional roof markings. 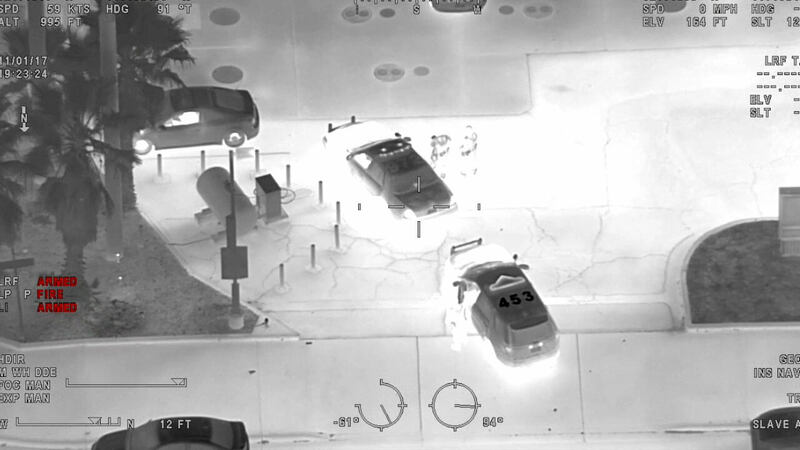 Only the Mirage™ markings are visible in the thermal infrared image. 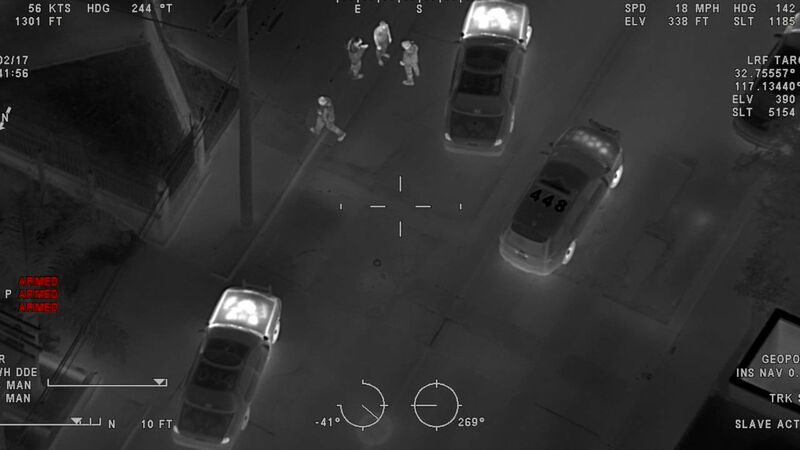 Many Police forces have their own dedicated aircraft, or access to aircraft fitted with a combination of visual and thermal infrared imaging equipment to give them 24 hour surveillance capability. 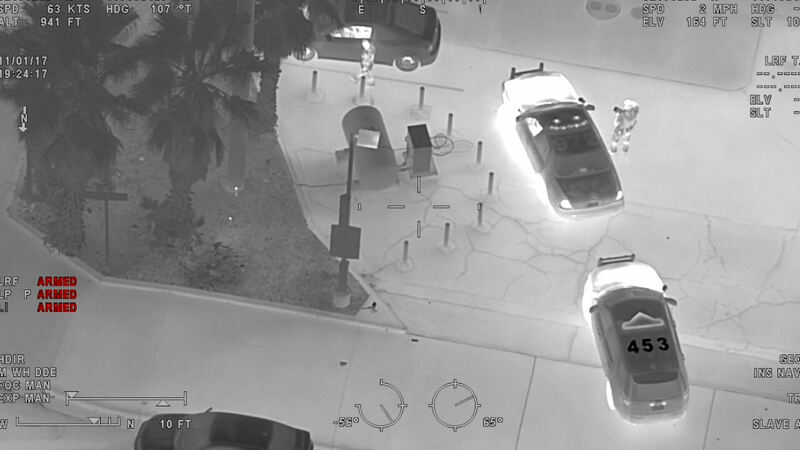 However, when viewed at night using infrared imagers, police cars with conventional roof markings are indistinguishable from each other or from other similar civilian vehicles. The material works by a process called “cold-sky reflection”. 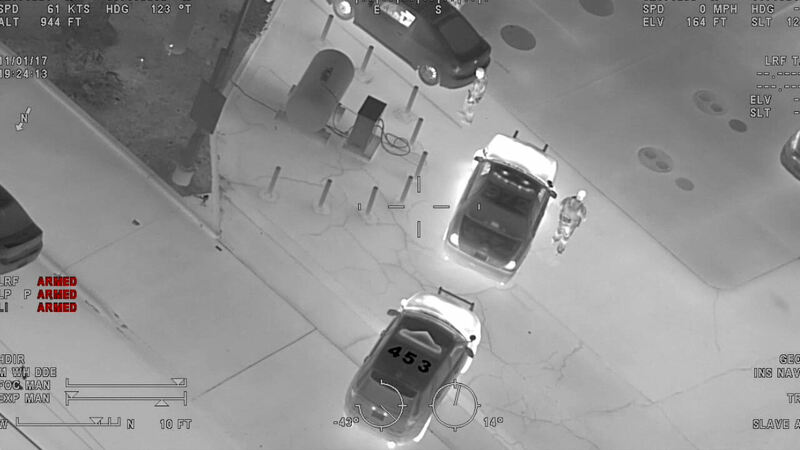 When the material is placed on the roof of a vehicle and viewed from above by thermal imagers, Mirage™ shows black (cold) while the vehicle shows white (hot). 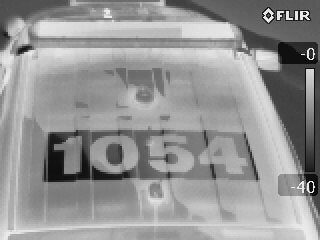 This produces the high reflectivity contrast to provide a clear, distinctive thermal infrared vehicle marking. 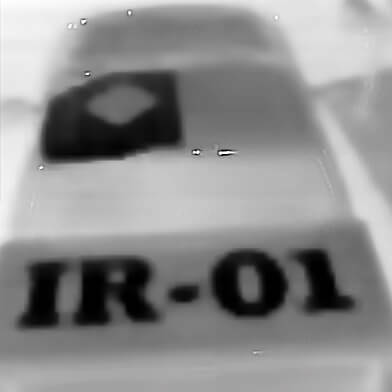 Mirage™ can be used to create infrared ‘black‘ backgrounds or cut to create infrared ‘black’ symbols and letters. Mirage™ can be used in combination with conventional roof marking vinyl film or reflective roof marking film to create identification markings. Conventional sign vinyl and ‘reflective’ marking films both show as light grey or white (warm), so when used with Mirage™ they create distinctive visible and thermal infrared vehicle markings. Mirage™ roof markings can be supplied with adhesive backing or temporary attachment magnetic backing. Mirage™ is a government restricted vinyl product that is available solely to official government agencies. PVL UK holds the global exclusive license to manufacture this patented product from QinetiQ. PVL UK has in-turn granted The ArtworksMirage™ exclusive distribution to the Americas (USA and Canada). Please call us directly at 303.790.7111 or submit the form below for more information on MirageTM graphic technology.